Adonus practiced mixed martial arts as a kid, but turned his focus to boxing 3 years ago. The mindful aspect to fitness that was imprinted on him as a youth is reflected in his current coaching style. 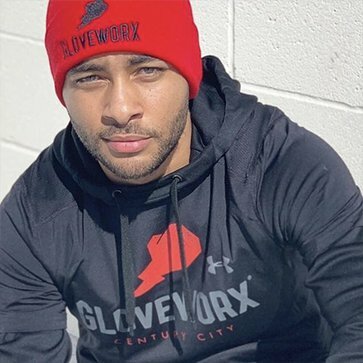 Adonus takes a cool, calm, and collected approach combining motivation and encouragement, simplifying the sport and making it effortless for his clients. A student of the game, Adonus is constantly innovating his approach to boxing and how to get the most out of each session. His gift is learning and growing with those he works with, transforming who you are in and outside of the studio. Pro tip: work hard enough and he just might show you some of his dance moves.